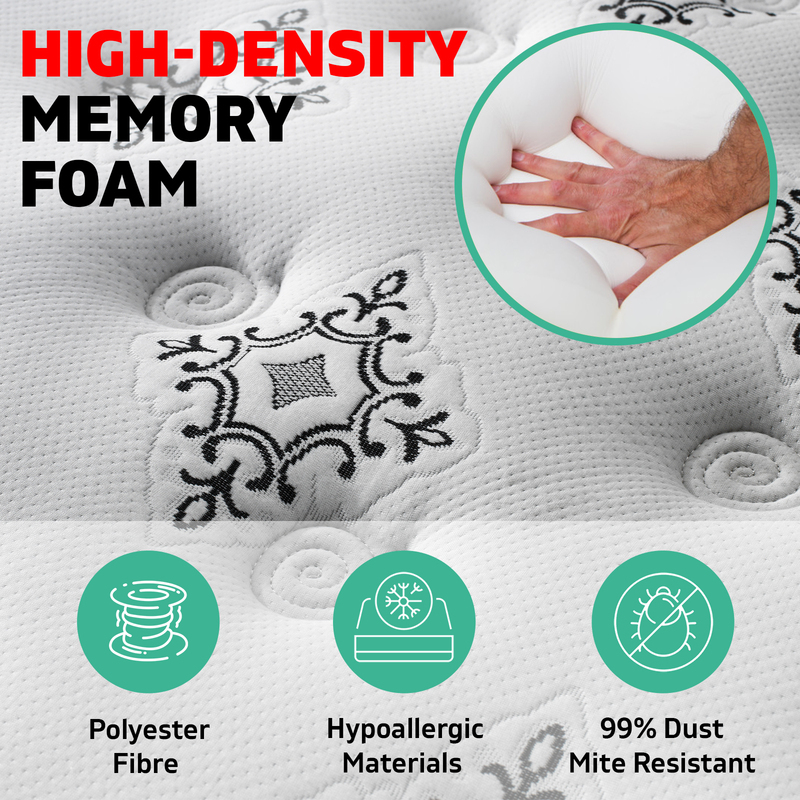 Are you fed up with your neck and chronic back pains? 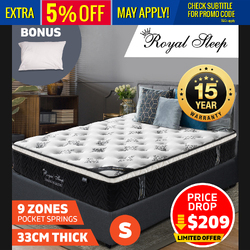 Well, don’t worry any longer, for the All-New Royal Sleep Mattress has just landed to uplift your sleeping experience and alter the way your body feels. Your stubborn and continuing back pain will be relieved with new and enhanced 9-zone chiropractic pocket-spring system that is combined with 9 different levels of support. 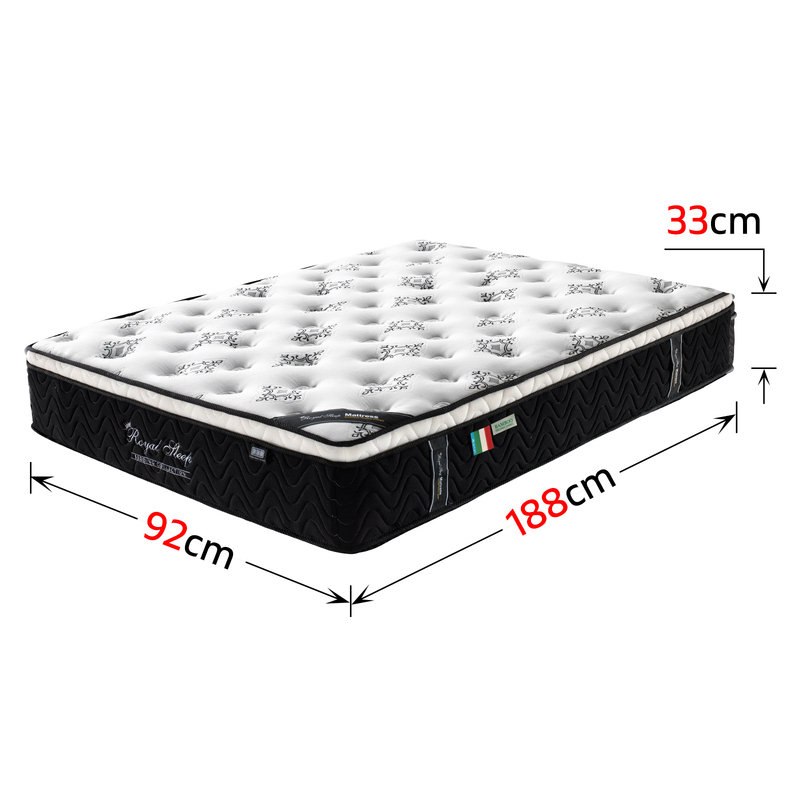 You’ll experience relief from pain and anxiety as this mattress supports the unique curvature of your body. 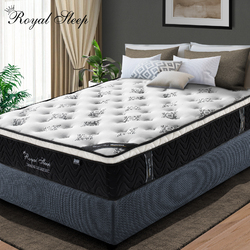 Due to its high-density memory foam, the Royal Sleep mattress comes with the ideal degree of firmness. 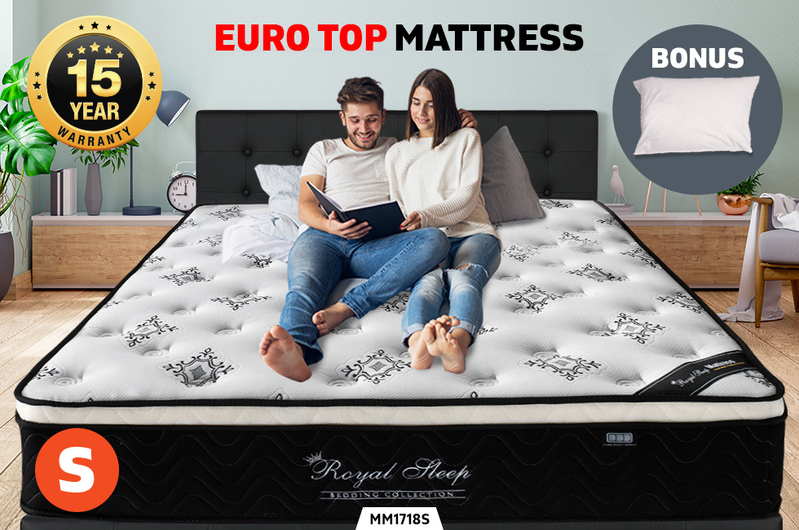 To provide you with a royal and relaxed sleep during nights, the New Royal Sleep Mattress is made up of luxuriously plush Euro top padding, which is tender and smooth to the touch. 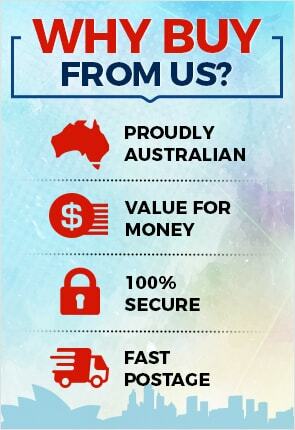 The Royal Sleep mattress is made up of hypoallergenic materials, so it’s 99% dust mite resistant. 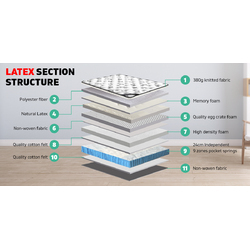 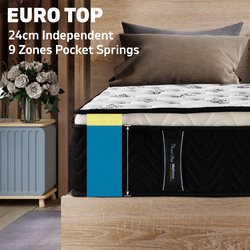 This luxury mattress is made with a 6-turn coil system that functions independently to equally distribute your body weight and purges disturbances from your sleeping partner’s movements. 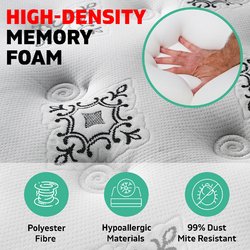 Over the lavishly textured breathable 380g top 3D knitted jacquard fabric, you’ll definitely want to rub your hands. 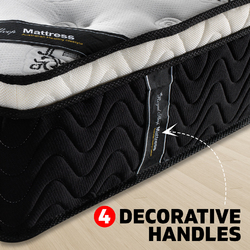 The New Royal Sleep Mattress is equipped with four decorative handles to facilitate easy placement and adjustment. 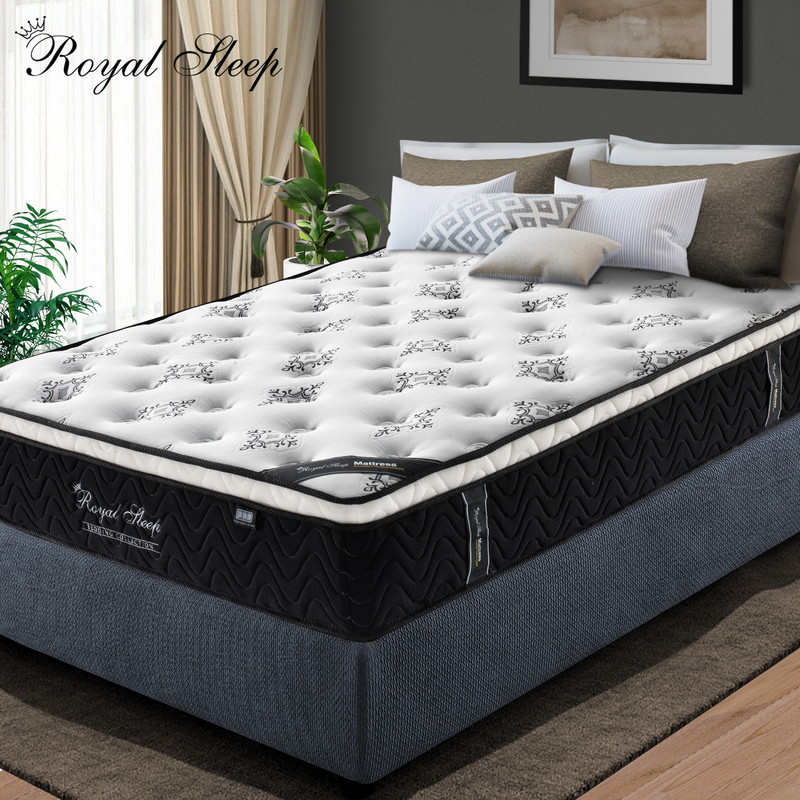 The New Royal Sleep Mattress is packaged with high-tech vacuum packing technology for effortless handling and transportation. 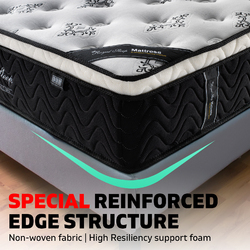 Reserve one day for mattress expansion before you can have the best night’s sleep. 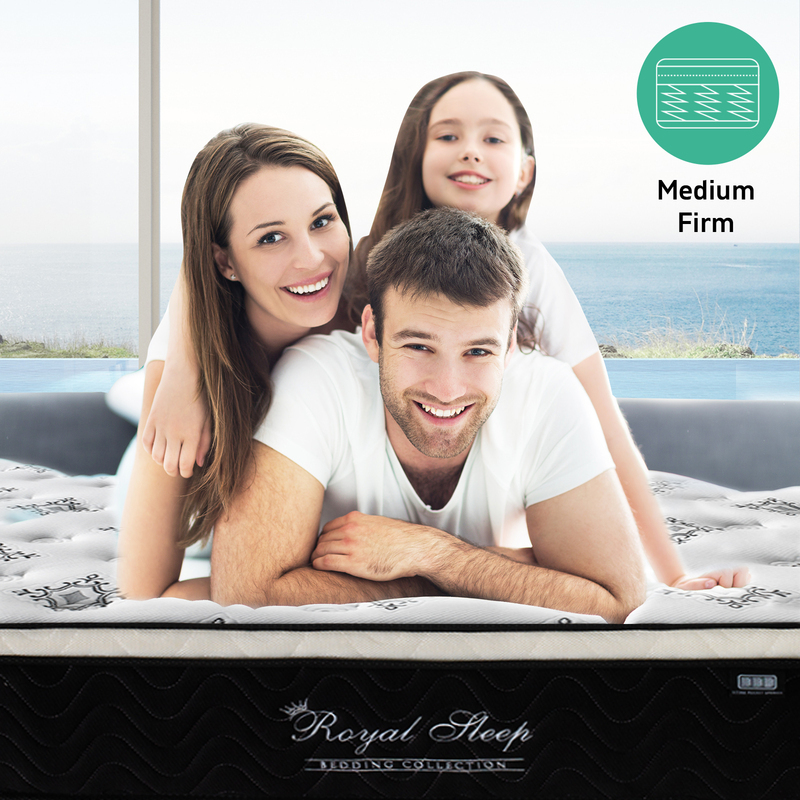 The New Royal Sleep Mattress is 34cm thick and you can select from five different sizes viz. Single, King Single, Double, Queen and King Sizes. 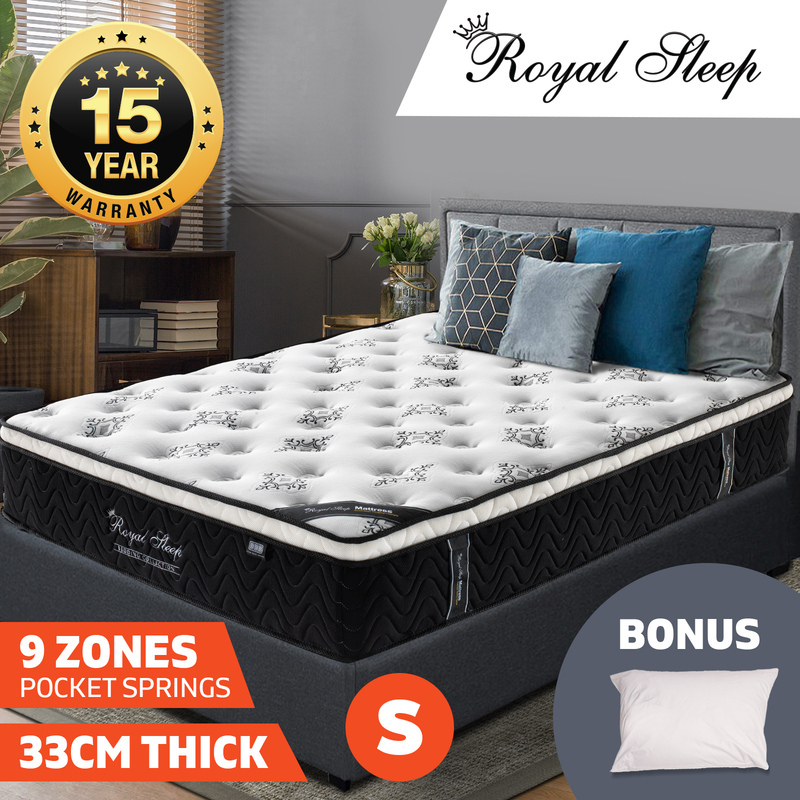 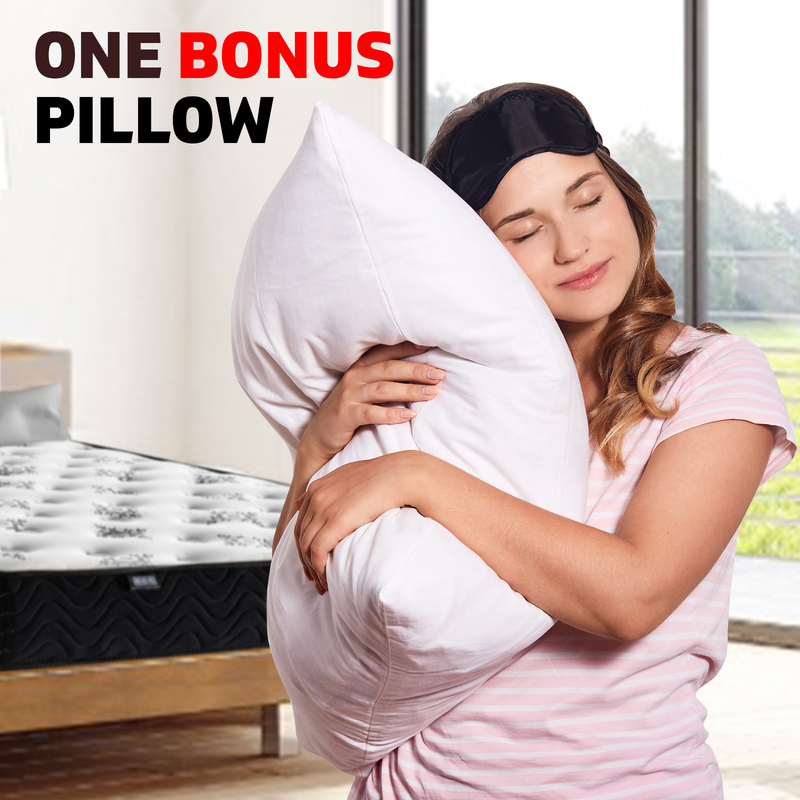 Get 1 pillow free when you purchase single, king single or double size mattress and 2 pillows free when you purchase queen and king size mattress. 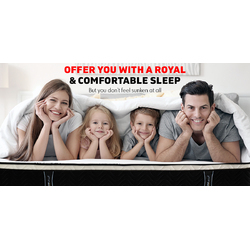 Furthermore, Royal Sleep Mattress comes with complete 20 years of warranty for total peace of mind. 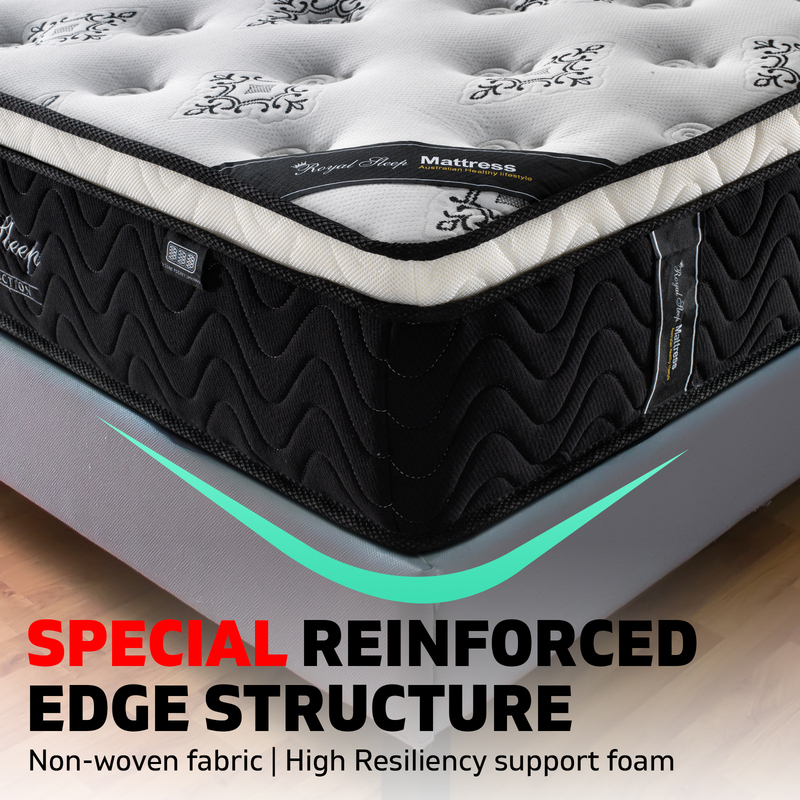 Give your body the rest it actually deserves. 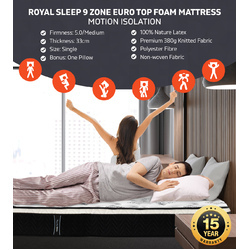 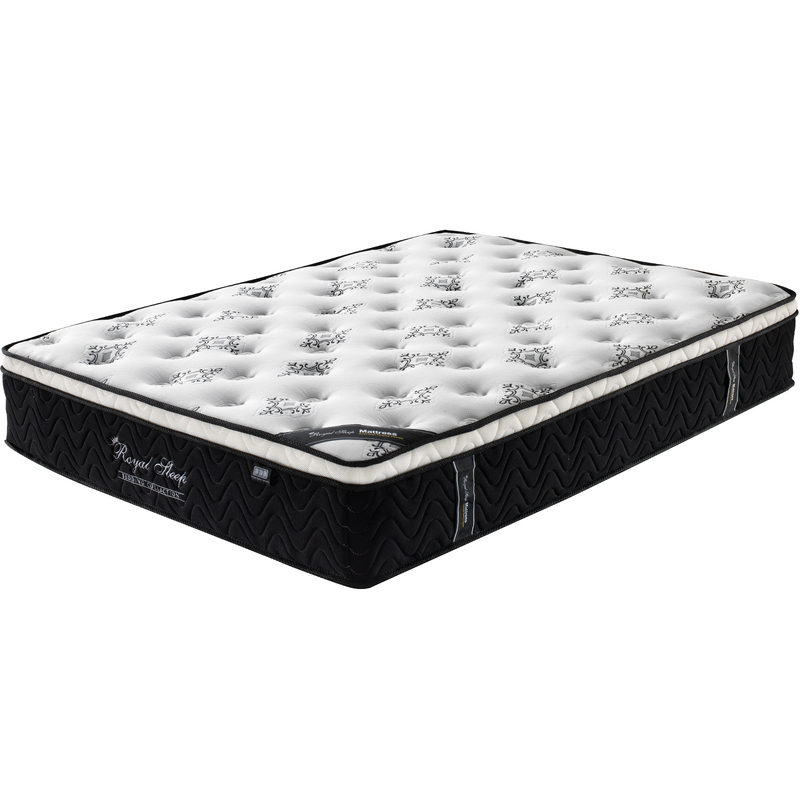 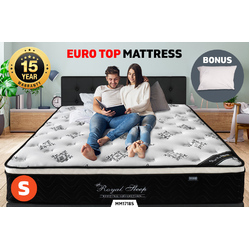 Order your Royal Sleep 9-zone Euro Top Foam Mattress now!